Clothes always slip off the smooth metal hangers with tapering sides and sometimes fall down or fly off when there is wind blowing. 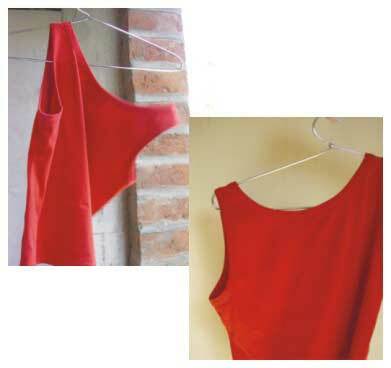 The hangers are used to hang the clothes carefully without any fold or crease. It is a problem when a hanger is too light to hold a heavier garment. When the hanger size is shorter than the garment’s size it tends to fall off. It also happens due to smoothness of metal and its structure with tapering sides. There could be some clips provided to hold the cloth without leaving any mark or crease. Or the material can be finished in such a way that it resists the cloth from slipping away.